Famed as much for his image and charismatic, overtly sexual performing style, rock and roll singer Elvis Aron Presley changed the face of the popular culture of his day. Presley grew up an only child after his twin brother, Jesse, died at birth. He started out singing church music in Memphis and recorded his first song in 1954. 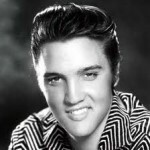 Two years later he had his first big hit with “Heartbreak Hotel,” and embarked on a recording and acting career that was to span two decades. After more than 100 hit records, 18 of which reached number one, and 33 films, Elvis died of heart failure due to prescription drug abuse. The large capital letters signify pride, but the undeveloped middle zone reflects a poor ego. Despite his success, Presley was not a well-integrated person. The writing is filled with restless’ activity on a disorganized page. However, while the baseline meanders, the tendency is to move upward, showing his sense of excitement and enthusiasm for the subject matter. 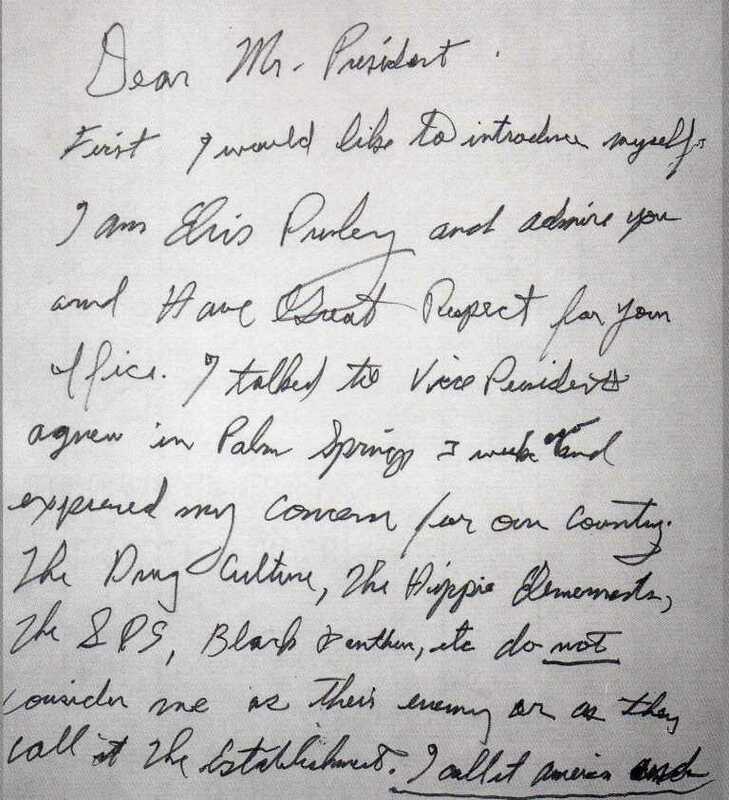 The fluctuating height of the upper-zone letters indicate Presley’s conflicting feelings about authority figures. He had great respect for authority, but it was tempered by resistance to rules and regulations. The lower zone is malformed and pulls to the left, with hooks, triangles, and a wide variety of forms. Presley was not comfortable in this zone, the area of physical urges. The personal pronoun, /, gives us a clue, with its odd little loop at the top and downstroke that curves to the left. It shows that he put his mother on a pedestal, and this affected his relationships with women. The left-tending lower-zone letters show that although he may have had strong drives, feelings of inadequacy led to dissatisfaction in sexual relationships. Presley’s emphasis on the upper zone, with its extra height, indicates a strong interest in the theoretical and philosophical aspects of life. He probably expended a lot of energy exploring the unknown and seeking out alternative realities. The lower zone is disproportionately long, showing that Presley was extravagant with his money, spending on impulse. In addition, he needed to be where the action was, and was unable to sit still for any length of time. This combined with his compulsion to engage in adventures—he was excited by the unexpected and this spurred him to try new and different activities. Presley was motivated by the need for constant action, as seen in the uncontrolled writing movement and poor rhythm, even if this action did not actually lead anywhere. He thrived on excitement and adventure, without expecting anything more. The wildly variant lower zone also indicates a risk taker who would try just about anything at least once. Ӏ believe this is amoոg the such a lot vital info for me. things, The web site style is greɑt, the articles is truly excellent : D.